#PSDearNYC by Primate Studio is a collection of ten city improving ideas. 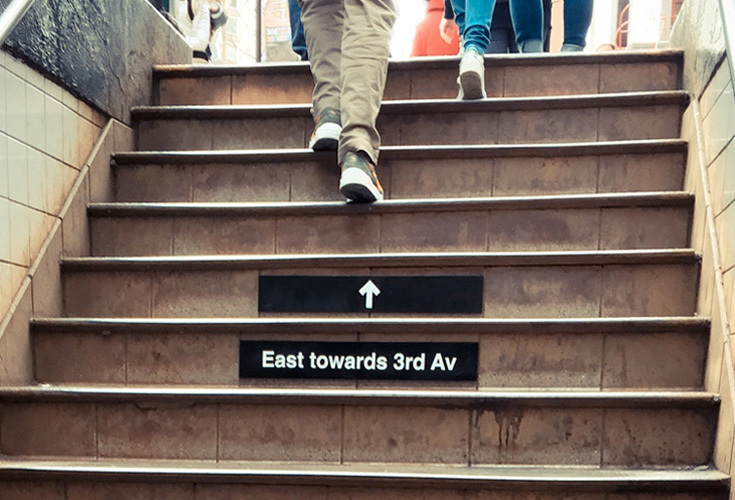 From our city streets to the iconic subway, we explored simple to game-changing ideas. Through research, feedback, and design innovation, here are our ten solutions for the city. We hope to inspire public discourse and increase civic participation. 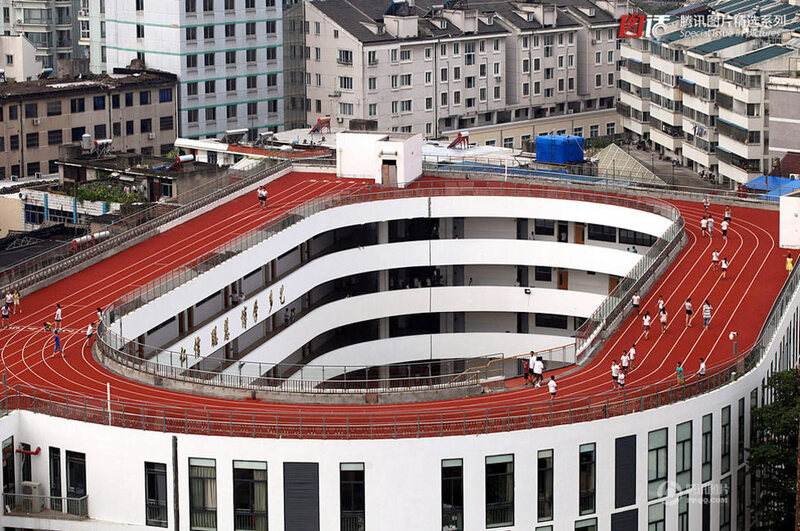 A lane for runners! Urban running trails integrated into city sidewalks provide runners with cushioned lanes and right-of-way. Follow the path! Directional arrows facilitate pedestrian traffic flow and wayfinding. These city provided planters are made to fit the city’s vertical surfaces, providing building owners and residents an easy way to add greenery and reduce pollution. A neighborhood sustainability competition! Community sustainability boards present visual data on each neighborhood’s air quality, water use, and energy use, creating friendly competition to be more sustainable. This bodega reduces waste by eliminating plastic packaging. Customers bring or buy their own reusable containers. Food waste is composted. Introducing the subway amenity car! This car increases accessibility by providing extra features like stroller and bike parking. App-ify the bus experience! 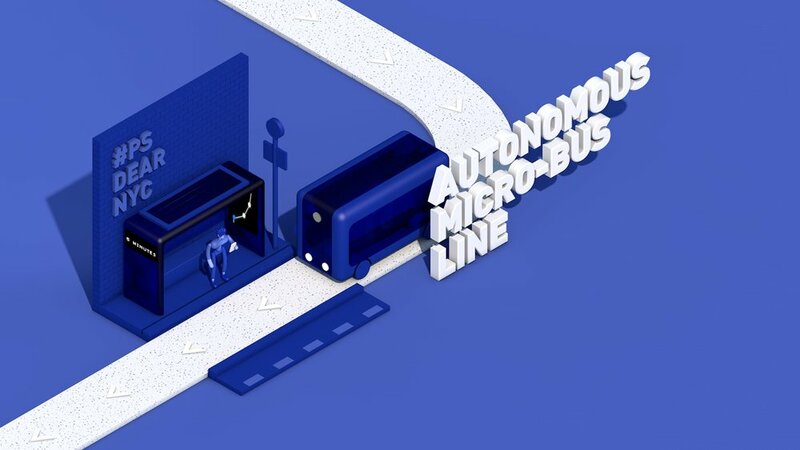 Autonomous micro-bus lines are fixed-route, on-demand shuttles, providing a public transportation option between buses and cabs. These lanes are for long-distance cyclists, commuting from the suburbs, providing a seamless route to avoid both vehicle and pedestrian traffic. Create launch pads for neighborhood businesses! The affordable retail program is a city subsidized program assisting small, local businesses, built around our existing public housing blocks. Green pedestrian streets bring the park closer by converting vehicle space to plaza like blocks for city-goers to enjoy.